Anyone who has used paid marketing techniques to generate traffic or interest for a brand or in a product knows that effectiveness is key to survival. Conversion and click through rates matter within the confines of budgets and time, so it is crucial to always use the best tools available. Many people know about solutions such as Facebook Ads and Google AdWords, but fewer are aware that Gmail is now open to all advertisers. A highly targeted marketing environment, Gmail makes it possible to deliver an unprecedented quality of ads in terms of relevance. Today, we’ll discuss how to maximize ad effectiveness through the platform. In order to get the best bang for your buck with Gmail Ads, you’re going to need to boost your overall Quality Score. Unfortunately, Quality Scores are not visible to the public. However, there are indirect ways of measuring this concept. Most notably, your overall open rates will indicate whether you are moving in the right direction or not. While some people may not worry about pinging noise to target audiences so long as they receive some clicks and are only billed when that occurs, an increase in open rates (and therefore, Quality Scores) actually lowers your cost per click amount. This means that you’ll save money in the long run by producing great ads. You have certainly ran at least one email marketing campaign in the past. Through your analytics, you have collected valuable information about what your subscriber base desires and enjoys. 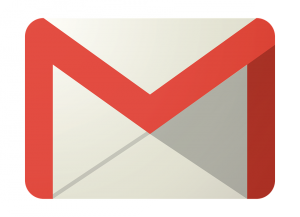 With this information, you can potentially shape your Gmail ad campaigns for the better. Since the individuals who are part of your organic email marketing efforts are loyal and interested, their habits will largely be the habits of those who you’re trying to target via Gmail. By making sure to inspect your previous email marketing analytics for trends – in particular, which emails had the highest open rates – you will be able to emulate similar success through your Gmail endeavours. Your competition is likely already active on Gmail Ads. You don’t want to cede an inch of ground to the competition – not even their own keywords. By bidding on keywords that not only relate to your brand and products, but also your competitors, you can be sure to get maximum benefit from each and every campaign. This ensures that you tap into as wide of an audience as possible when it comes to targeted efforts. Rather than pinging noise at likely target audiences who may or may not share an interest in the subject, you can focus on targeting those who have demonstrated interest in both your brand and your competitors’ brands. How have your initial experiences with Gmail advertising gone? Do you have any specific tips to share with newcomers on how to maximize efficiency? Let us know in the comments below what tactics have produced reliable and consistent results for you on Gmail.